A plethora of magical designer maker gift ideas awaits you... from the likes of Camilla Meijer, Laura Gravestock and Terri Leahy. 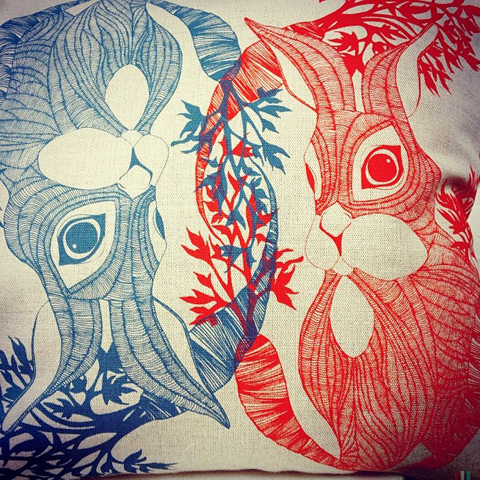 Bunny cushion design by Camilla Meijer. This weekend we made our annual trip down to Cockpit Arts to catch up with old favourites and discover new talent. As always there was a wonderful welcoming Christmassy atmosphere, with the designers on hand to discuss their work. Unfortunately – due to one very clingy child that I could not put down – I didn’t make it the entire way around, and missed out on some of the wonderful jewellers in the west corridor. Nevertheless we did find lots of great work, so here’s my suggestions for Christmas gifts that will stand out from out the high street clutter. 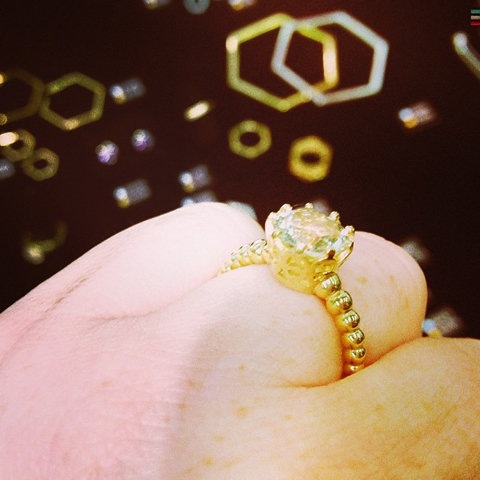 Jeweller Laura Gravestock goes from strength to strength. I particularly love her new range of subtle pastel coloured gemstone rings, combining modern decorative pattern with timeless settings. 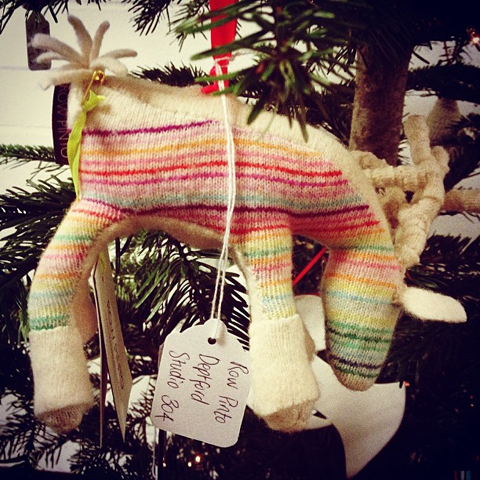 This cute knitted reindeer Christmas decoration is by Row Pinto, who are based at the Deptford studios. 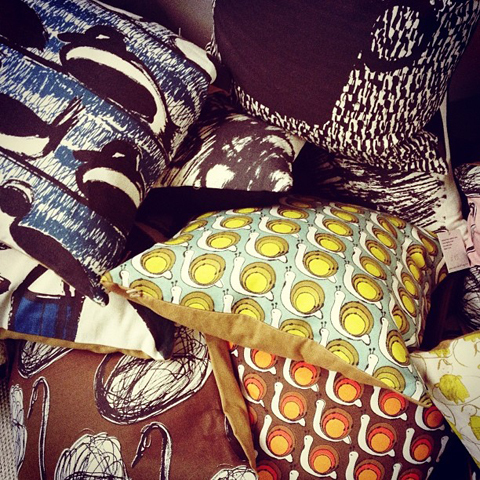 These very cute prints on cushions are by designer and fine print maker Maria Hatling, owner of the Gallery Bobbin website. I especially love the repeat pattern featuring a snail. Susan Horth creates amazing bejewelled wire sculptures that catch my eye whenever we visit Cockpit Arts. 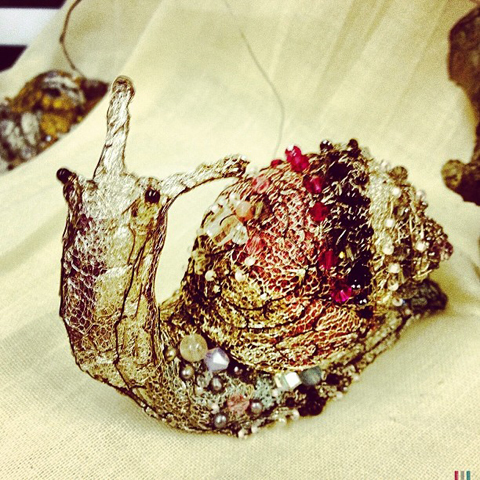 Loving the snail again! 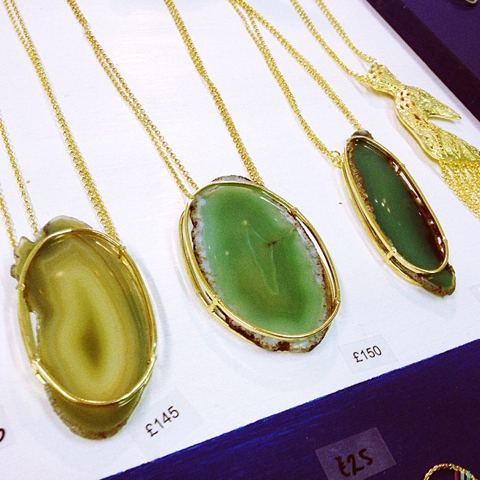 These sliced agate necklaces are by the lovely Annabelle Lucilla, who will be joining the new Amelia’s Magazine market place as soon as it launches. I can’t wait to see her new range in the new year. 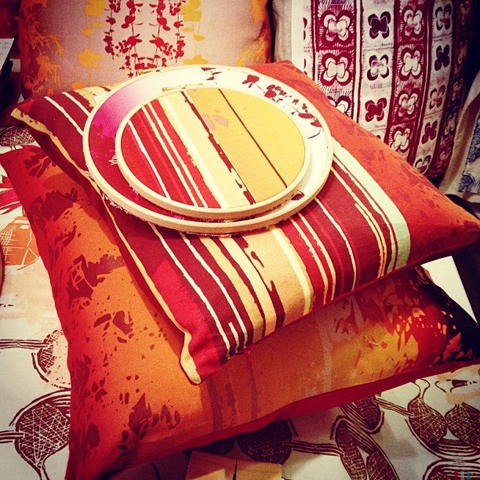 This beautiful display of spicey coloured textiles is by Julie Kouamo. 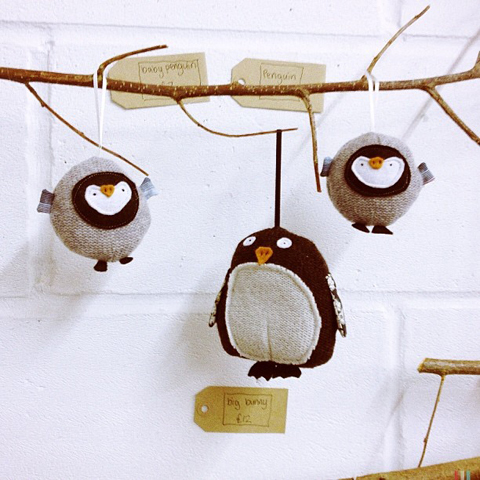 These adorable fabric hanging birds were created by Laura Long, who was entertaining her incredibly cute and well behaved baby niece when I came past her stall. 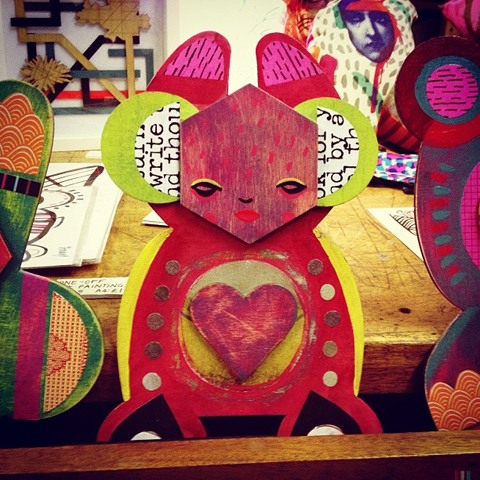 Ultra fabulous cut out creatures are by the brilliant Craig Yamey, now striking out on his own as Yamey Designs. He too will be featured on my new market place. 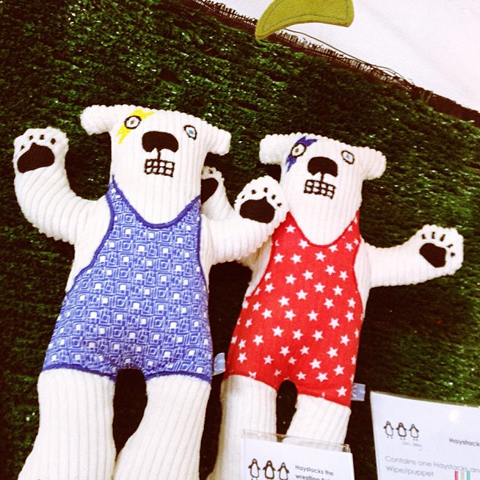 You can’t go wrong with this pair of wrestling bears, by toy maker Terri Leahy, who specialises in humorous anthropomorphic creatures. 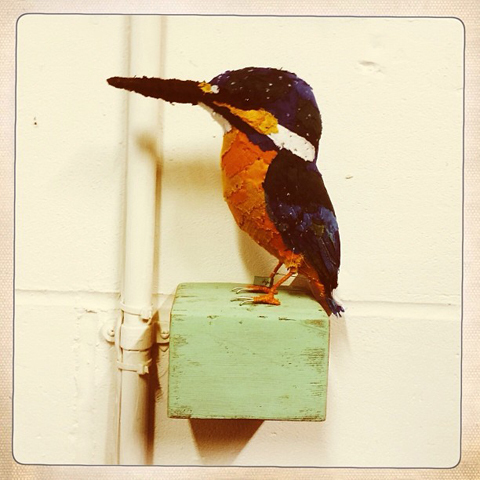 This pretty fabric kingfisher is from a collection made by Abigail Brown. 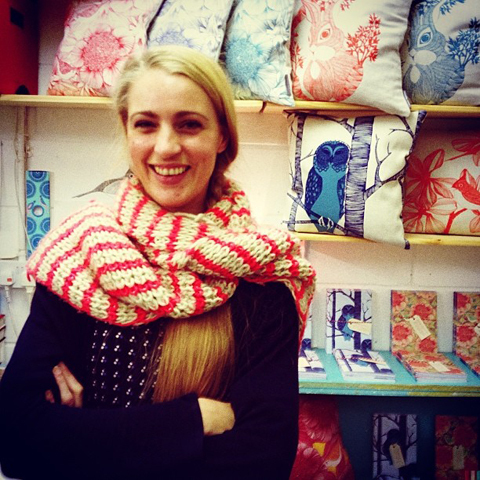 Fanny Shorter has recently won the COADG Bursary for her beautiful textile designs. 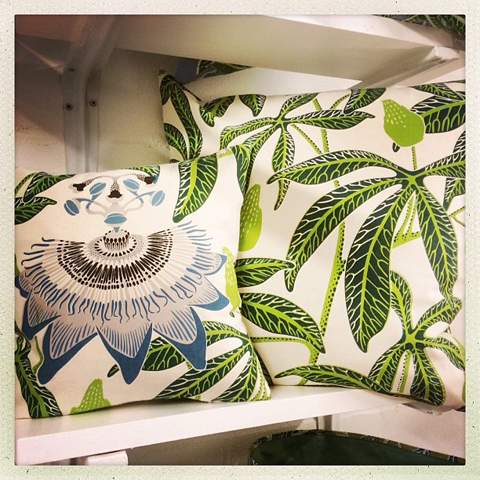 Just check out this tropical lushness! 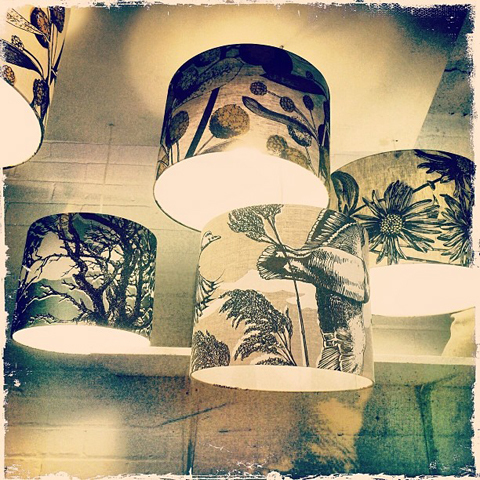 Finally, I have a lot of love for these hanging lampshades by Jen Rowland. She also does a beautiful range of gold foiled animal prints. Follow me on instagram to see my pick of designer maker goods first.